Do you just have a few minutes to spend cooking but want to enjoy a vegan meal? The good news is that using tofu instead of meat can reduce cooking time for many dishes. You can add stir fries to your repertoire of fast vegan meals. While soaking and cooking dried beans and cooking rice can eat up the clock, you can also use shortcuts such as canned beans and leftover rice for quick dishes. Here are recipes that take 20 minutes or less. 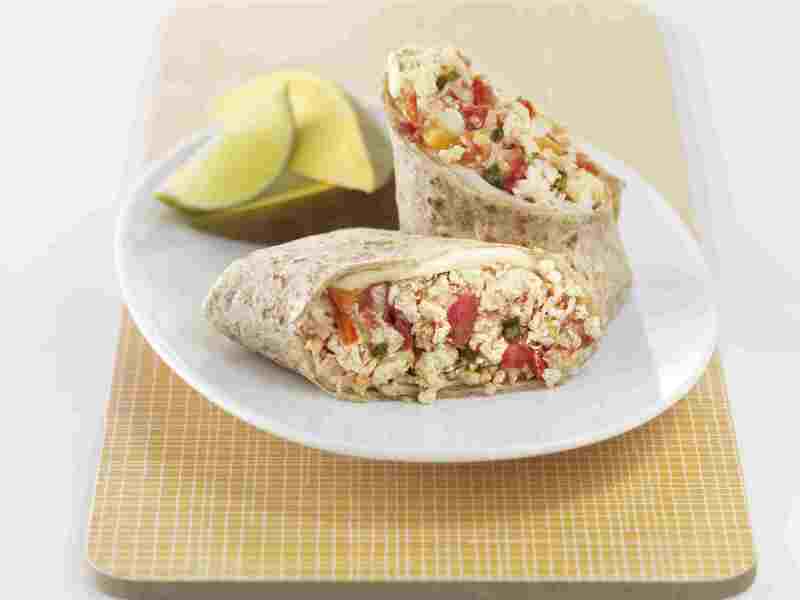 You can enjoy a breakfast burrito packed with vegetables using tofu as the protein. It takes only 15 minutes from start to finish to make this healthy and tasty dish to start your day right. It's egg-free and dairy-free. It takes only 20 minutes to whip up this vegan snack that will satisfy your cravings on game day. Hot wing sauce typically includes butter and Worcestershire sauce (which may not be vegan). This recipe substitutes vegan margarine and doesn't use Worcestershire sauce. You can serve it with your favorite vegan hot sauce. Do you want to serve a hearty vegan dip for guests or movie night? If you have two items in your pantry, you can have an almost-instant hot dip that might disappear as fast as it took to make it. If you have leftover rice, you are just minutes away from enjoying this cold rice salad packed with vegetables, including snow peas, celery, carrot, bell pepper and green onions. It's a great mix of crunchy textures and tangy flavors. Start with canned black beans and salsa from your pantry and you'll have a great soup for your family in less than 15 minutes. A dollop of vegan sour cream or grated vegan cheese will give it a tasty finish. In only 20 minutes, you can enjoy this spicy vegan dish. It uses tofu instead of Indian paneer cheese, and you'll need vegan yogurt for the creamy sauce. You can make it with curry powder, you can experiment with using individual Indian spices instead. Serve it with rice or with Indian bread such as chapati or roti. Tofu stir fries are very quick recipes, and this one takes only the typical 20 minutes from start to finish. Half of that time is spent in the preparation time cutting the vegetables and tofu. You can even cheat on that by having them pre-cut. This recipe goes together in 20 minutes if you have pre-cooked potatoes and carrots. If not, try the trick of slicing them and cooking them in a steamer in the microwave for 5 minutes. This recipe uses a yellow curry you put together with curry powder, turmeric and chili sauce. This recipe takes less than 15 minutes if you use instant rice or leftover rice and canned beans.